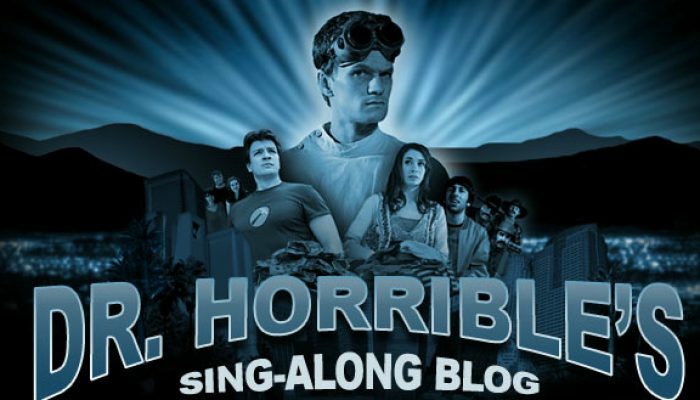 Rent or buy Dr. Horrible's Singalong Blog here. The film Stars Neil Patrick Harris (Doogie Howser, How I Met Your Mother) as a lovestruck wannabe supervillain, with Nathan Fillion (Serenity, Castle) as the self-absorbed superhero smitten with the same girl. Be patient for the first few minutes; it really kicks in when the first song starts (though the opening is quite funny). By the end, you may be surprised at its emotional punch. For another first-rate musical, try On the Town with Frank Sinatra, Gene Kelly, and Vera Ellen. Rent or buy it here.